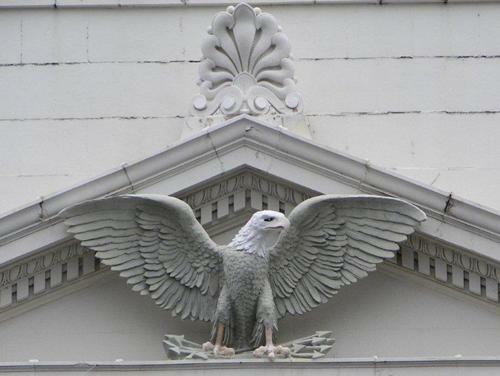 Eagle Eyes of Texas, Series Two, A Photo Essay. 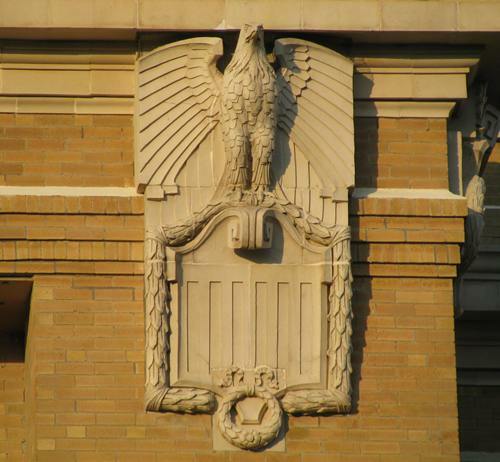 The response to our invitation to contribute Eagles was immediate. The second part of the series had originally been planned for early next year, but here's Series 2 - published on December, 8th, less than a week from the intro. 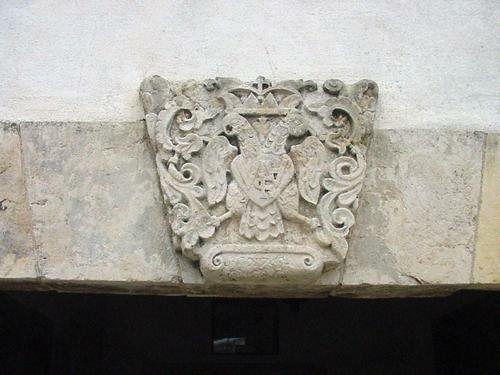 Since this project has taken wing, it will continue as an inventory - with images published 10 at at time. 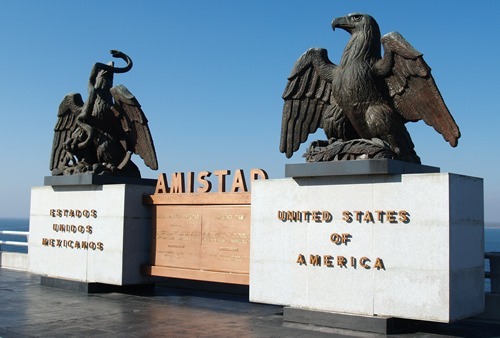 The dramatic Lake Amistad eagles of Del Rio/ Ciudad Acuna were sent in by Bill Sontag of Del Rio, Texas who made a special trip to insure their inclusion. 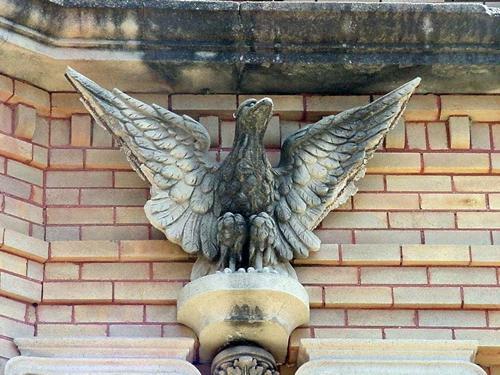 The Gillespie County Courthouse has rare wooden eagle. 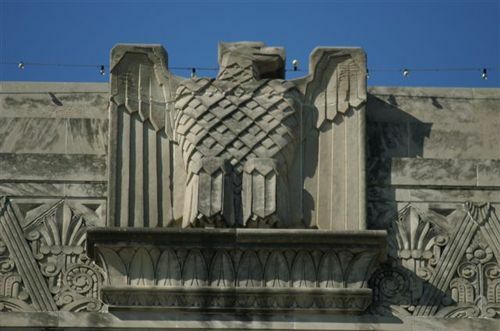 A mother eagle displaying her eaglets? 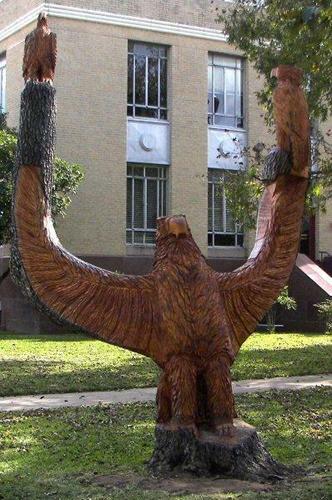 The sculpture was made from a late tree on the courthouse lawn. 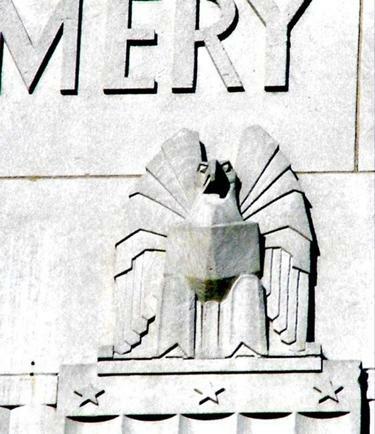 "There is an old building on the east side of the square in Paris that now serves as Paris Optical and this fine fellow is perched over the entrance." 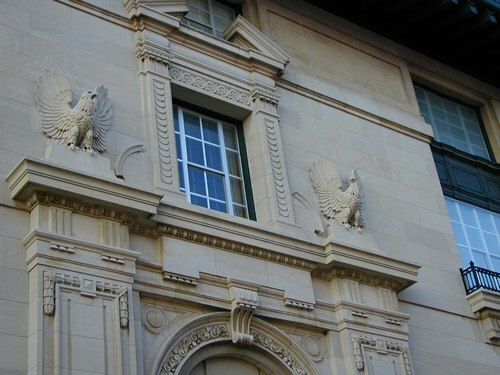 Twin Eagles over the Federal courthouse in Sherman. 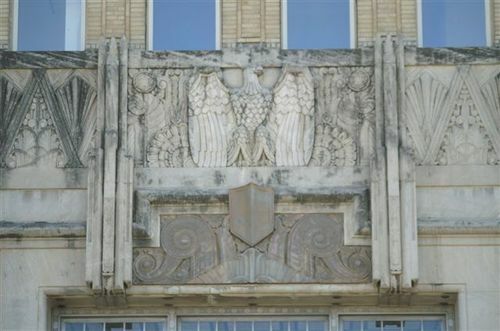 Eagles on a Bartlett, Texas bank have had their wings crudely clipped.